In Today’s Digital Era Our Daily Activities Are Loaded With Chunks Of Artificial Intelligence (AI). Everything from the Apple IIe to online learning; there have been a lot of digital “next big things” in education over the years. AI in education dates back to the 1970s when SCHOLAR CAI (Computer Assisted Instruction), the first intelligent tutoring system was launched in the US by Dr Allan M. Collins and Jaime Carbonell. 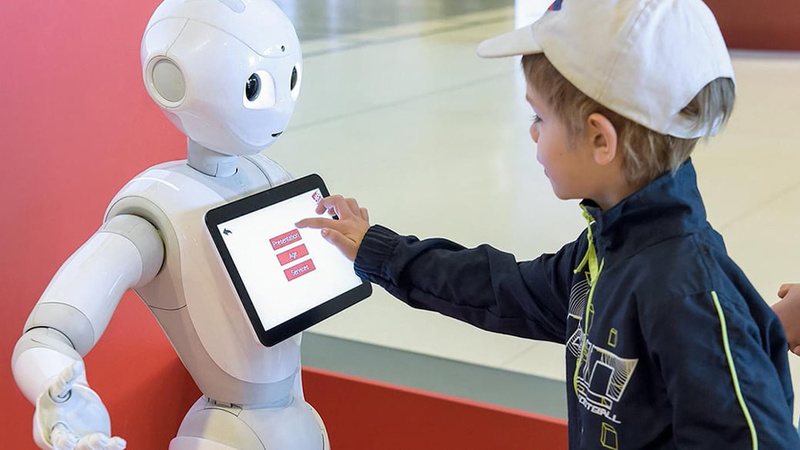 While we are yet to see humanoid robots as teachers in the classroom, numerous projects that use computer intelligence are poised to bring forth major changes in the education sector. Here’s how AI can take education to the next level. Grading homework and tests can be quite tedious. It takes up a significant amount of time which could otherwise be used to interact with students, prepare for class, or work on professional development. Although AI might not be able to truly replace human grading completely, it’s getting pretty close. Artificial Intelligence has made it possible for teachers to automate grading for nearly all kinds of multiple choices and fill-in-the-blank testing. AI tutors can provide additional support to students. Some artificial intelligence based tutoring programs help students through basic mathematics, writing, and other subjects. But these programs aren’t ideal for helping students learn high-order thinking and creativity but only the fundamentals. Yet there is a high possibility of AI tutors being able to do these things in the future. With the rapid pace of technological advancement, advanced tutoring systems may not be a far-fetched dream. AI can help teachers and students to design courses that are personalised according to their needs and can also provide feedback about the success of the course as a whole. AI systems are used to monitor student progress and to alert teachers when there might be an issue with student performance. These kinds of AI systems not only allow students to get the support they require but also help the teachers to find areas where they can improve instruction for students. There will always be a role for teachers in education, but it may change due to new technology in the form of intelligent computing systems. AI systems could potentially take the place of teachers for very basic course materials and could even be programmed to provide expertise, serving as a place for students to ask questions and find information. AI will shift the role of the teacher to that of a facilitator. Teachers will facilitate AI lessons, provide human interaction and hands-on experiences for students, and help the students who are struggling. Trial and error is a significant part of learning. But for many students, the idea of failing, or even not knowing the answer, is tormenting. Artificial intelligence provides students with an innovative way to experiment and learn in a relatively judgment-free environment. AI tutors can also offer solutions for improvement. In fact, AI systems themselves often learn by a trial-and-error method so it is the perfect format for supporting this kind of learning.